We have bundled into a single unified platform our Data Integration and Analysis components together with Hadoop, Datamining & forecast components. Running on Hadoop gives you the freedom to maximize Hadoop capabilities like running parallel processing application, then unlocking the potential of your data. 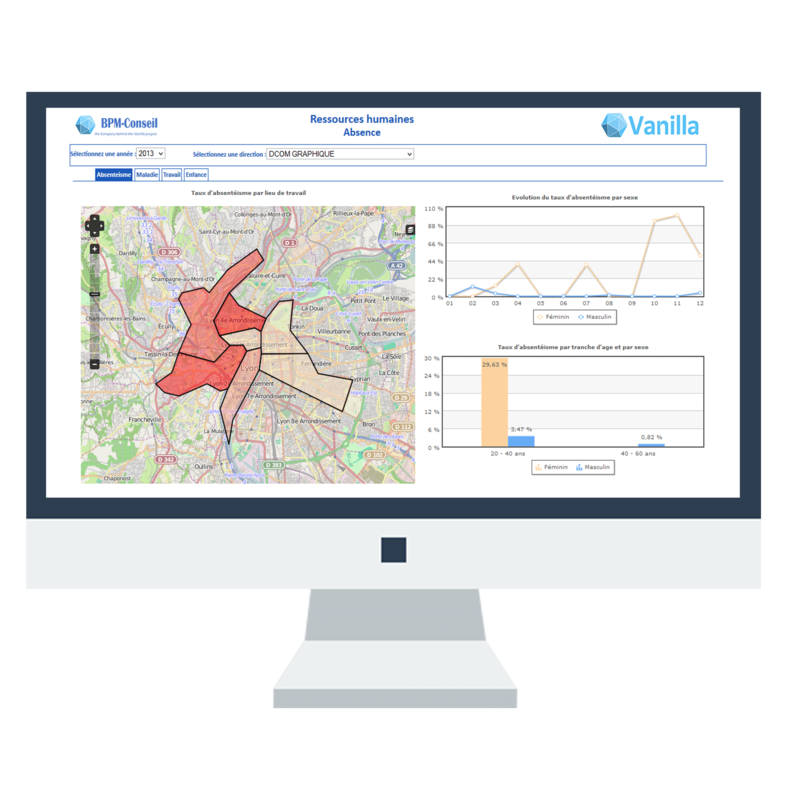 Going further than connectors in your Vanilla platform, we also developped a full environment with Vanilla Analytics. 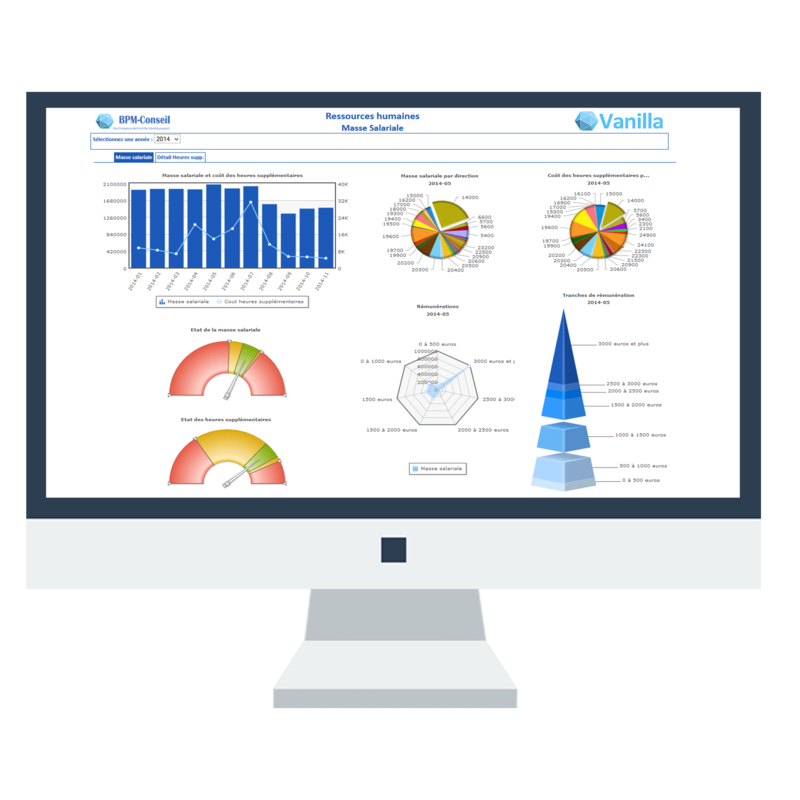 Vanilla Analytics provides the components and a unified platform for Data retrieving from Internet or other datasources, Datamining and Visualization. Vanilla Big Data Analysis Platform has been certified on Cloudera, HortonWorks and Databricks (Spark), taking advantage and empowering some of the most popular Hadoop components such as HDFS, Yarn (MapReduce), Hbase, Impala, SolR or Spark. Choose the type of graph that will ease the understanding of your data, and display it in an interactive dashboard. A map is worth thousand reports ! Let us change your visualizations habits and enjoy full featured dashboard with maps & interactive Kpi, calculated in real time using Hadoop Yarn process.